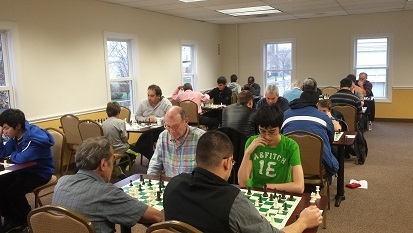 As always this time of year, the Chess Club of Fairfield County once again hosted the Fairfield County Open G/10 Speed Tournament. This is the 8th straight year the tournament has run and the strength of the competition continues to impress. 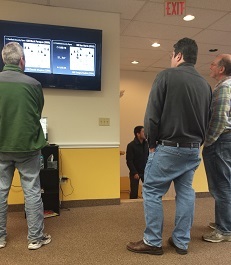 A total of four grandmasters, two international masters, 15 masters and seven experts made up well over half of the entrants. With $2,000 in prizes on the line, the nine round speed tournament perennially sees many exciting and tense games. Some of the impressive upsets included Guy Colas’s win over NM Oliver Chernin, CCFC Owner Melvin Patrick’s win over expert Vladimir Polyakin, and Peter Barkman’s draw (as early as round 1) against IM Jay Bonin! Needless to say, the top scorers were deserving winners. 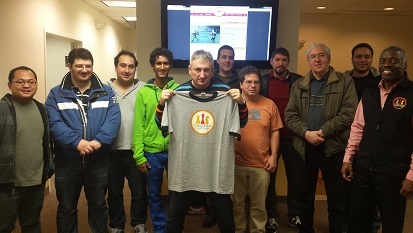 This year’s champion is Grandmaster Maxim Dlugy who finished with a very impressive 8/9 and walked away with $500! 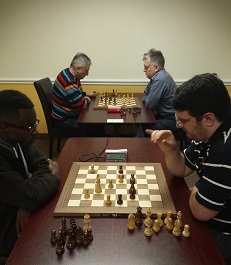 GM Zviad Izoria scored 7.5/9 and GM Mark Paragua scored 7/9 to take home $300 and $200 respectively. NM Furqan Tanwir and NM Kapil Chandran tied for the U2400 prize with 6/9 each. Tanwir had one of the toughest roads of all, facing all three top finishing grandmasters! See below for the final crosstable that includes the complete list of winners and their prizes.